The Campground collections attractive style if appealing to both boys and girls as they use color choices to get the desired feminine or masculine look. Loft and bunk bed ladders have 4″ flat steps–twice the size of others, for maximum safety. 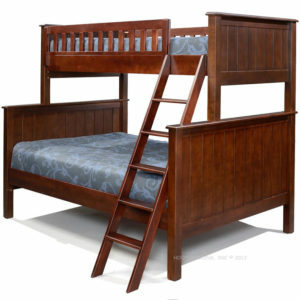 All of the beds, including bunk beds, have 2 height settings. The low setting on the bottom bunk provides expanded headroom for kids and, of course, mom and dad. The Campground Collection is constructed using Eco-friendly Popplar hardwood. 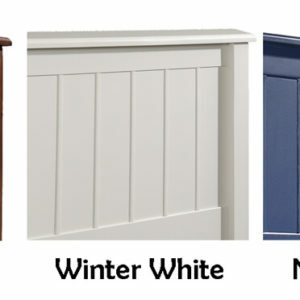 Available in Winter White, Espresso and Navy Blue finishes.